Just some of the allegedly stolen property the county sheriff sates was recovered from a Franklin Furnace home. The Scioto County Sheriff’s office has arrested two Franklin Furnace residents and recovered thousands of dollars in merchandise allegedly stolen in a string of thefts and breaking and entering incidents in the Wheelersburg area. Sheriff’s office Capt. John Murphy said in a press release officials received a call April 10 from Little’s Septic Tank Services on SR 125. The caller claimed a male subject had got into the company’s work trucks and stolen tools valued at over $1,000. Murphy added on the very next day, the Wheelersburg Little League reported someone broke into their concession stand overnight and made off with food and other items valued at over $10,000. The incidents were assigned to the sheriff’s office detective unit, which Murphy said resulted in the collection of possible DNA evidence. That evidence was sent to the Ohio Bureau of Criminal Investigation and Identification for testing. Again, according to Murphy, detectives also recovered video surveillance of at least one of the incidents. He added detectives ultimately were able to identify a possible suspect and on Saturday went looking for that suspect at 1105 Cartro Rd., Franklin Furnace. Officials detained a female suspect at the home and Murphy stated while they were on the scene officers noticed a male subject drive by and attempt to leave the area. That suspect was later detained on a traffic stop a few miles away. 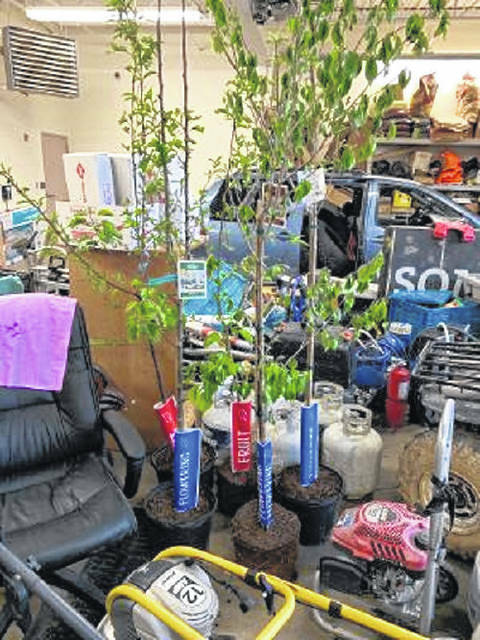 According to Murphy, officials conducted a search of the Franklin Furnace location resulting in the recovery of eight truckloads of allegedly stolen property to include the stolen items from the Wheelersburg Little League and the tools from Little’s. Officials impounded the suspects’ vehicle, a blue minivan, a search of which officials say resulted in the recovery of even more stolen property. During this investigation, officials contacted the victims of several recent crimes. Murphy said those victims identified property allegedly stolen from several locations to include thefts from vehicles around the Wheelersburg area; a truck broken into at Reinhardt Truck Sales in Portsmouth; trees and mulch reported as stolen from Deemer’s grocery store; and, several thefts from Bocook’s Garage in Wheelersburg, allegedly including catalytic converters cut off from vehicles in the garage for servicing. The suspects arrested were identified as Burt C. Copley age, 41, of Cartro Road Franklin Furnace, charged with one count of breaking and entering, a fifth degree felony; five counts of theft, also a fifth degree felony; one count of telecommunication fraud, yet another fifth degree felony; and, finally six counts of theft, each a misdemeanor of the first degree. 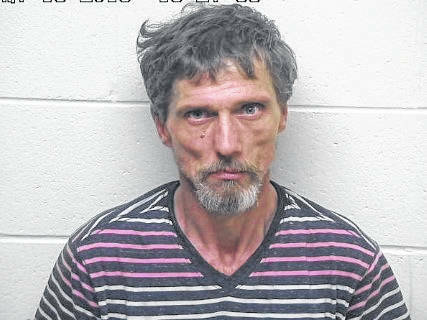 Copley was being held in the Scioto County jail on a $200, 000 bond and was scheduled to appear in Portsmouth Municipal Court on Monday. The second suspect arrested was Jessica Copley, 26, also of Cartro Road, Franklin Furnace. Copley was charged with one count of breaking and entering and one count of theft, both fifth degree felonies. 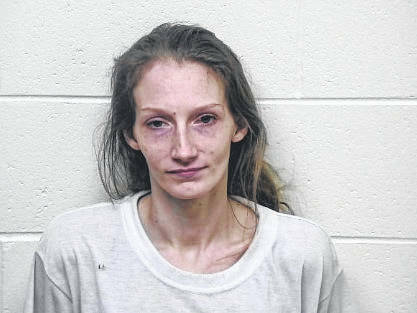 She was held on a $16,500 bond and also was slated to appear in Portsmouth Municipal Court on Monday. The results of both hearings, if they happened as scheduled, were not readily available by press time. Murphy stated what he called the quick arrests and recovery of property was the direct result of the work of sheriff’s detectives Jodi Conkel and Kirk Jackson along with deputies Luke Jenkins, Craig Ashley and Joseph Akers. Murphy added if you are a victim of a theft in the Wheelersburg area in the last few months please contact Conkel to schedule a time to come look at the recovered property. Sheriff Marty Donini stated this is still an ongoing investigation that will result in more charges being presented to the grand jury on a later date. Anyone with information should contact Conkel at (740) 351-1091.